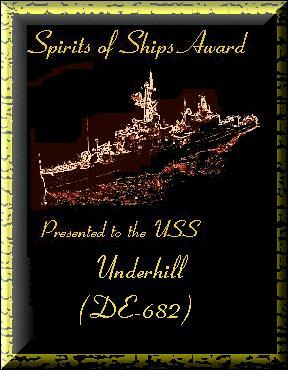 The Spirits of Ships award is given to sites honoring the memory of decommissioned US Navy war ships. These sites keep the spirits of our bygone ladies alive so the world can know how much they meant to us and that they live on in our memories. Receiving this award indicates your dedication to a most important part of our country, Naval history and the preservation of freedom.